It's tempting to get the expensive IT equipment you need for your office, church or school at half price, and used IT equipment is very tempting indeed. However, not all second-hand computers and tablets are the same. There's actually a very big difference between warrantied factory refurbished (also called reconditioned) devices and ones that are simply used products. I should explain. I recently wrote a piece for TechSoup called the Top 6 Myths About Refurbished Hardware. I explain that there is a world of difference between getting used electronics items on Craigslist or eBay and getting reputably refurbished devices. It's true that used items from auctions or online classifieds may be cheaper, but they are often sold without warranties and likely not rigorously tested and verified to be fully functional. IT support is often in short supply in churches, so equipment that is fully functional and that will last a long time is pretty much a requirement. Reputable refurbished products are rigorously tested and carry good warranties. A year is standard, the same as Apple products. Some refurbishers offer a full three-year warranty. There are now lots of new Windows laptops and Chromebooks on the market for under $200. While new equipment is often preferable to used, you should consider whether to buy office- or consumer-grade devices. If you want to learn more about the difference between consumer- and commercial-grade devices, I recommend Michael Archambault's comparison piece on this difference. The demands on processing power in laptop and desktop computers is decreasing these days for common uses like email, office applications, social media and web browsing. This is because we're doing more and more of our work with cloud-based applications (software that is hosted on the Internet) that don't put heavy demands on computers. For many daily office activities, it's no longer necessary to have the latest processors in our computers. Any dual core machine will do most of what we all usually do with our computers. Before ordering your pastor's new refurbished computer or tablet, make sure the software she needs will run on it. It's not so easy to generalize on whether your church should opt for new or reconditioned servers to run your network. There are lots of good solid reconditioned servers out there, but since the hardware must match the server software applications each church is specifically using, I wouldn't hazard a blanket statement. Server software ranges from relatively simple to very complex. In the same way that cloud-based applications can decrease the demands on your computer, cloud-based software can also decrease your church's need for a server. Lots of applications that previously required churches to run them on a network (using a server) no longer require that. Major church management systems like Church Windows, Church Community Builder and Servant Keeper all are cloud-based and require just ordinary computers to use them, refurbished ones included. More and more churches are using children's check-in kiosks especially for keeping track of children on busy days. ChurchTechToday has of course covered this part of church tech well. Most, but not all, of the kiosks from various vendors use tablet computers with their mobile apps to run their check-in kiosks. Those vendors that allow churches to supply their own tablets can use refurbished tablets. Elexio's check-in solution is designed for Windows tablets that run the full Windows operating system. Churches can use refurbished Windows tablets for Elexio. Advanced Kiosks is an example of a kiosk vendor that doesn't allow churches to supply their own devices. Their equipment is self-contained with integrated hardware and software that they supply. Of course, as with any IT vendor, check with the company to see if your existing devices or ones that you're considering will work with their software. The Microsoft Registered Refurbisher Program has a great listing of local refurbishers in your area. One of the largest school suppliers in the listing is CDI Computers. They are one of the refurbishment companies that offer three-year warranties. TechSoup's well-regarded Refurbished Computer Initiative sells good commercial-grade, warrantied IT equipment suitable for churches. Our great refurbishers for that program are PC Rebuilders and Recyclers in Chicago, and InterConnection in Seattle. Jim Lynch is a staff writer and director of green technology at TechSoup in San Francisco. TechSoup is a high-tech nonprofit whose mission is to provide charities, churches and libraries worldwide with donated and discounted software, hardware, and the knowledge to use them. Visit Jim at techsoup.org. 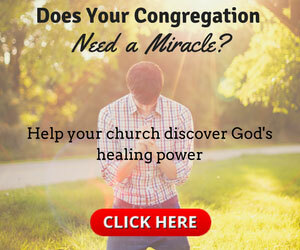 For the original article, visit churchtechtoday.com.